The trauma of losing a tooth, especially a front tooth, can be greatly reduced when patients know that they can have an immediate dental implant procedure that replaces the tooth the same day it is removed. Dr. Kissel is the only specialist in the New York City area who offers non-invasive immediate dental implants with microsurgery. The first step is a microscopic surgical procedure to remove the tooth that preserves the bone and gum tissue. This facilitates the ideal aesthetic and functional result. When the tooth is removed, the socket serves as a natural opening for the immediate placement of the dental implant. Bone grafting material is placed around the implant, filling in the socket completely to maintain natural contours. A temporary crown is then placed to complete the procedure. Replacing teeth with dental implants using traditional methods can take a number of months and involved multiple surgical procedures. Dental implants placed during the same procedure as tooth removal can be restored with the final crowns in several weeks. 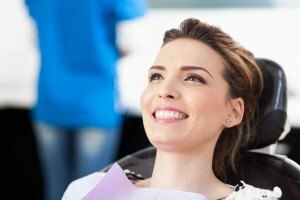 If you are facing tooth loss and are considering an immediate dental implant, the best way to determine whether you are a candidate for the procedure is to schedule a consultation with Dr. Kissel in New York City by calling 212-702-9088 to evaluate your situation and discuss your treatment options.